Thai Nguyen (VNA) – People-to-people diplomacy has contributed to tightening solidarity between the two countries, heard a conference in the northern province of Thai Nguyen on April 9. Diverse people-to-people diplomatic activities have been carried out over the years with the participation of people from all social strata, helping to improve public awareness, especially amongst youngsters, of the Vietnam-Laos special relationship, said Tran Van Tuy, President of the Vietnam-Lao Friendship Association (VLFA). According to Tuy, who is also a member of the National Assembly’s Standing Committee and head of the NA Committee for Deputy Affairs, 2019 marks the 70th traditional day of Vietnamese volunteer soldiers in Laos (October 30, 1949). 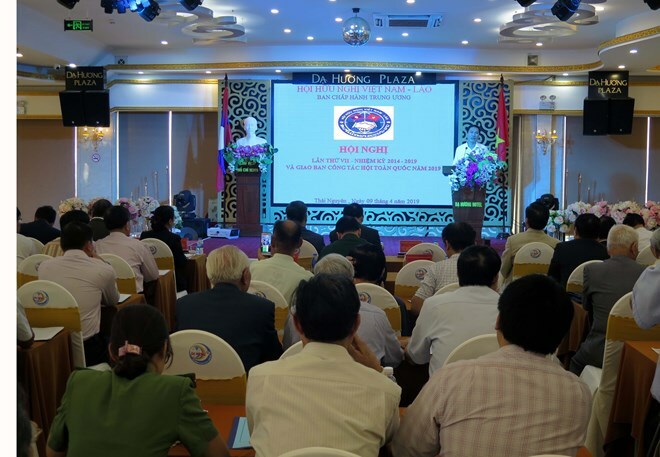 Therefore, the VLFA’s chapters will focus on activities to pay tribute to Vietnamese volunteer soldiers and experts, such as arranging visits to martyr cemeteries in Laos as well as historical relic sites in the two countries, especially those dedicated to President Ho Chi Minh and Presidents Kaysone Phomvihane and Souphanouvong of Laos. The association will also organize a delegation of Vietnamese officials who worked under President Souphanouvong to attend a get-together held in Laos in July 2019 by the Laos-Vietnam Friendship Association. The VLFA and its Lao counterpart will step up delegation exchanges in 2019. Meanwhile, its chapters will further support Lao students in Vietnam. Last year, the VLFA’s chapters throughout the country organised multiple activities with the most noteworthy being a campaign to mobilise 500 million VND (21,500 USD) and gifts in support of Lao victims of the collapse of the Sepien-Senamnoi hydropower dam in Attapeu province.